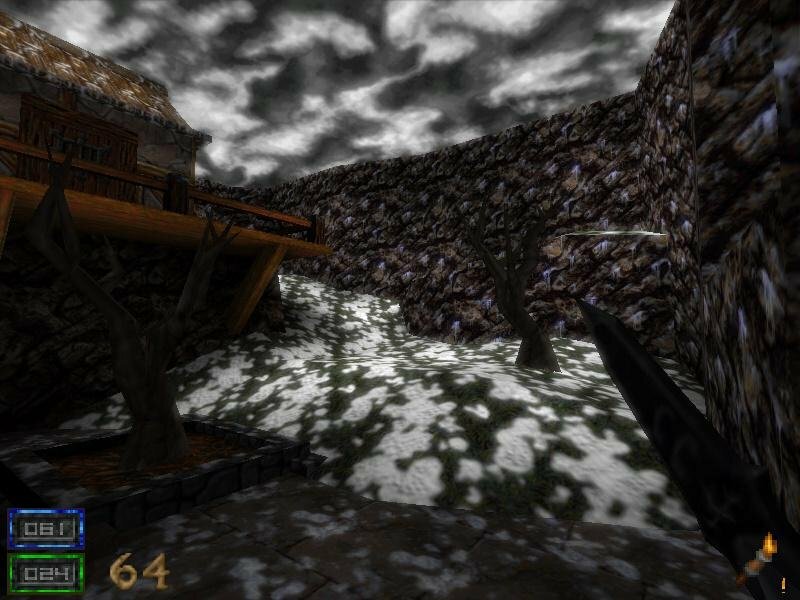 We get a handful of levels, more action and a new playable character. 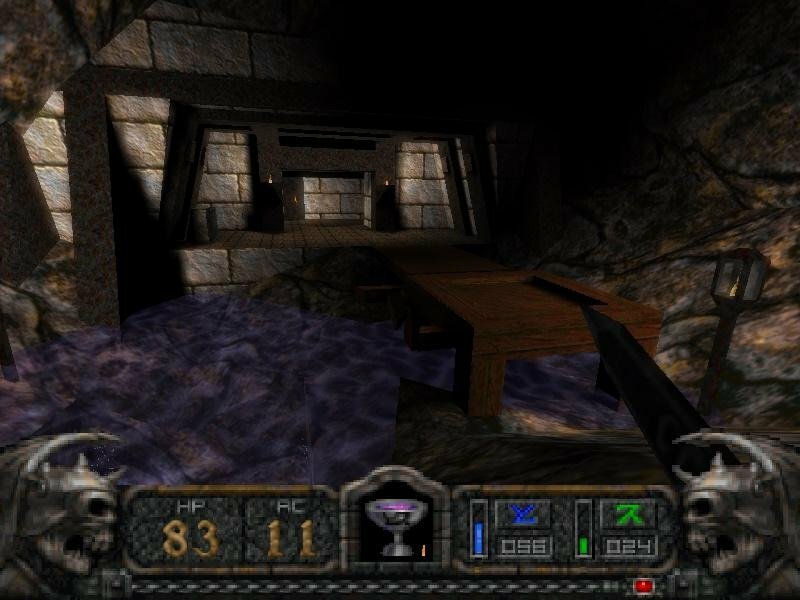 If there’s something Raven Software does well, it’s the ability to take an old engine and turn it into something even more beautiful. 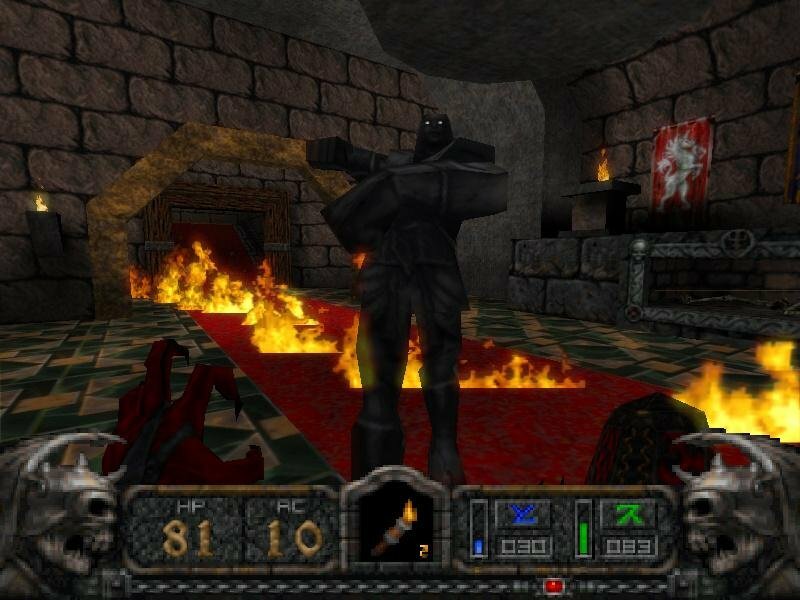 It was the case with the Doom engine-powered Heretic and its indirect sequels, Hexen and Hexen II. 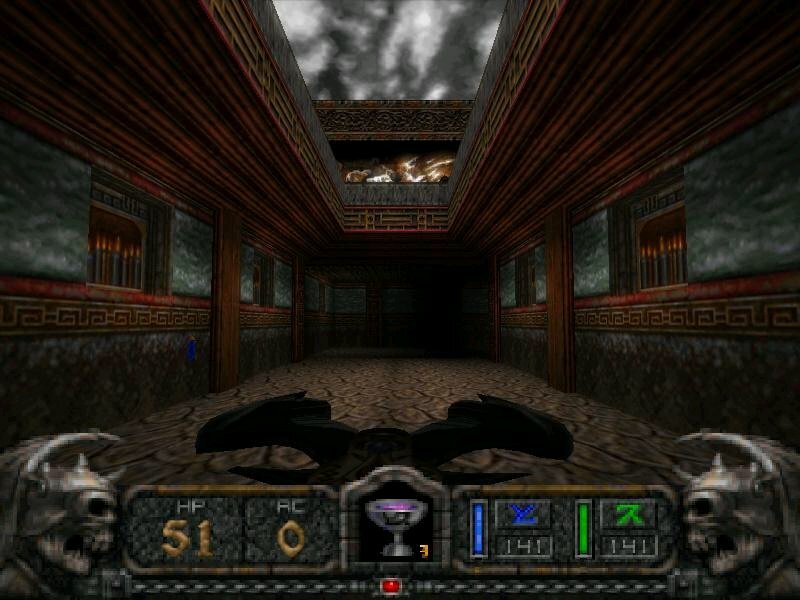 With the release of the Hexen II Mission Pack: Portal of Praevus, Raven was looking to enhance its reputation as the premier repackager of id engines. This two-episode expansion centers on a snowy village outside of Blackmarsh and a Tibetan-themed continent named Tulku, where a wizard of questionable ethics plans to revive the three Serpent Riders. When it works, Praevus is a cool mission pack. This scripted sequence alone looks nice. 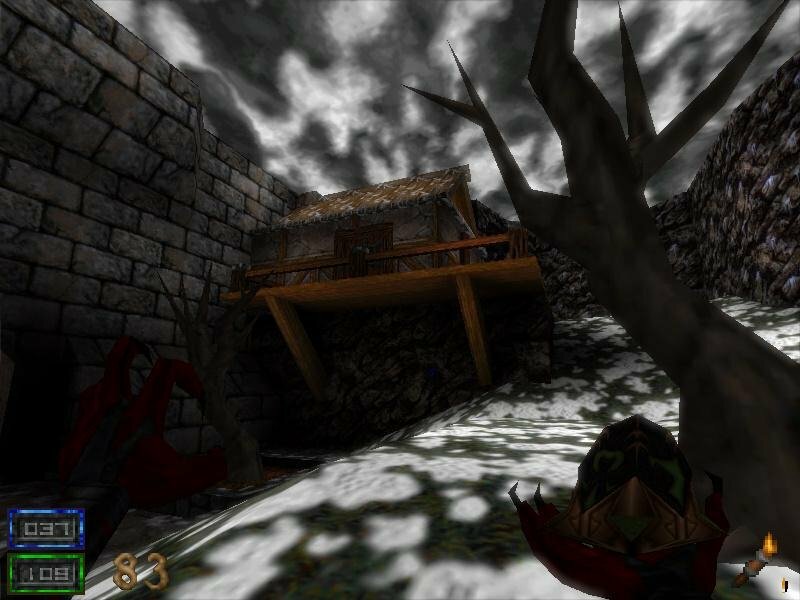 Praevus employs a hub system to level design, where specific maps branch off and become interconnected, giving way to a form of gameplay that feels less constricted than the usual linear key hunts. 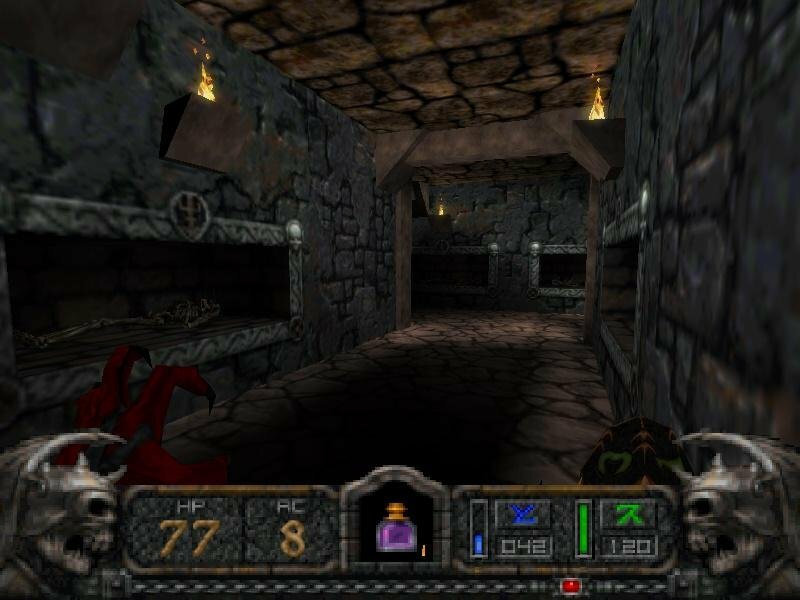 You’ll frequently stumble on an obstacle in one level and must travel off to a different level to find the specified puzzle item. 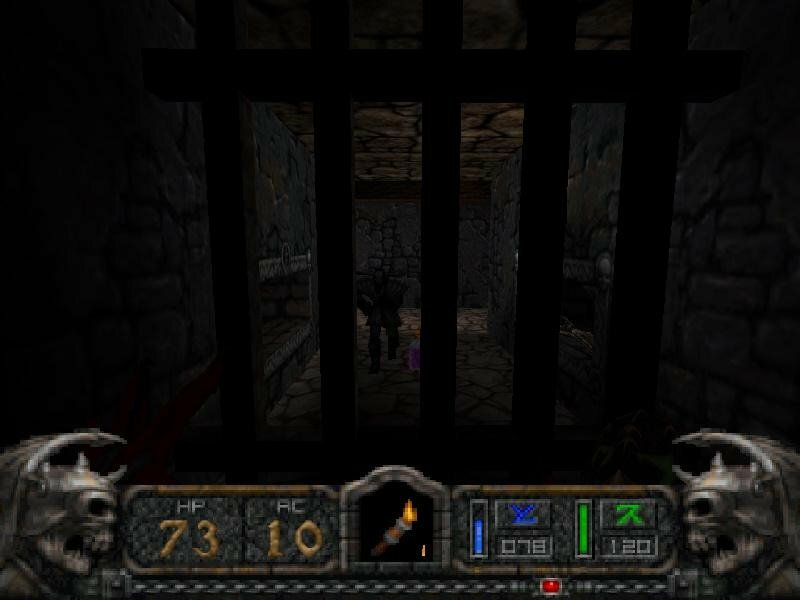 These glorified scavenge hunts suffer from some amount of tedium but are nowhere near as confusing a some of those in Hexen II, where I’ve spent more time running around searching for switches and hidden rooms than bashing monsters. A few instances require backtracking between levels, but overall key hunts have been relaxed by a lot. 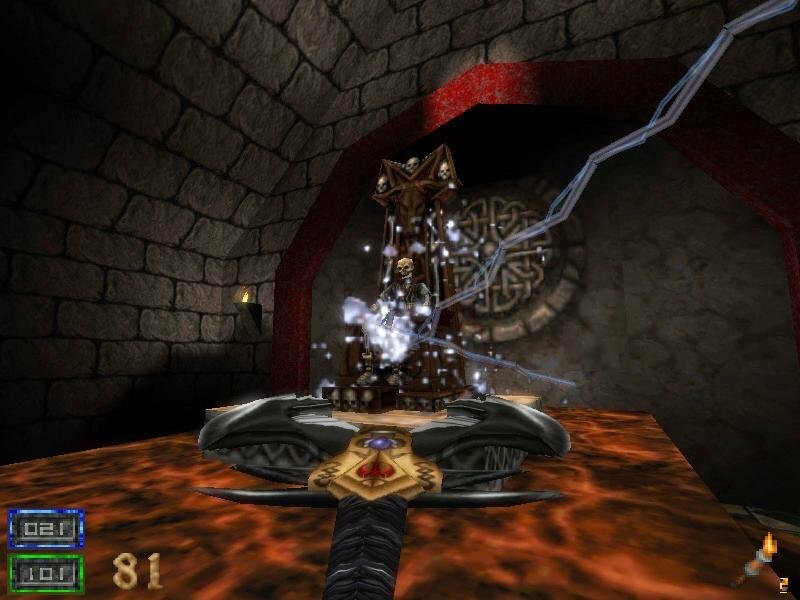 Praevus introduces one new playable character, the Demoness, thereby raising the total available classes to five. 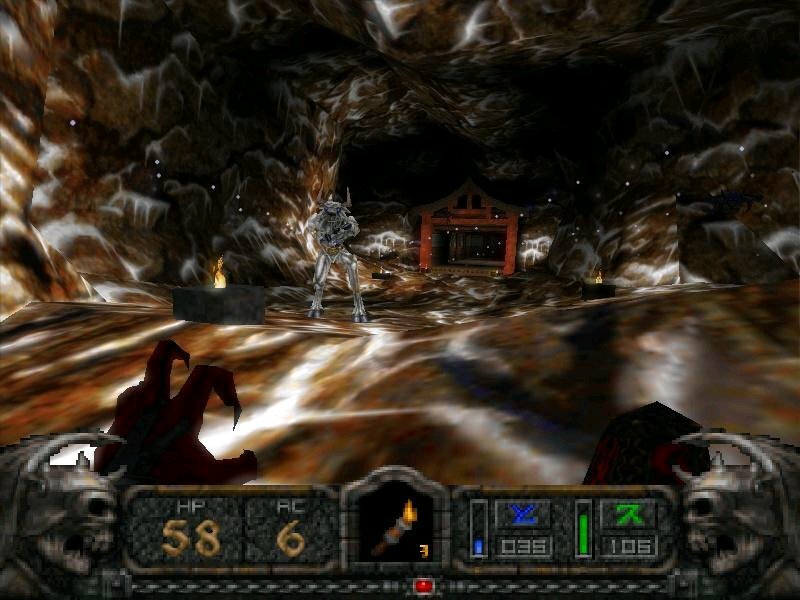 As in Hexen II, each character gains experience and raises its stats by killing the opposition, but the role-playing aspect at large is only rudimentary at best. 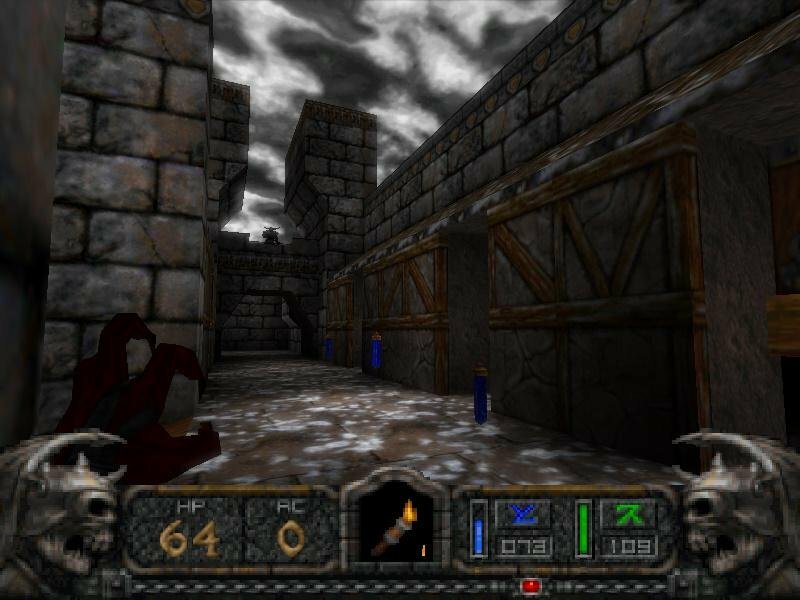 The Demoness focuses exclusively on ranged attacks and evasion, being the only character without any melee weapons. 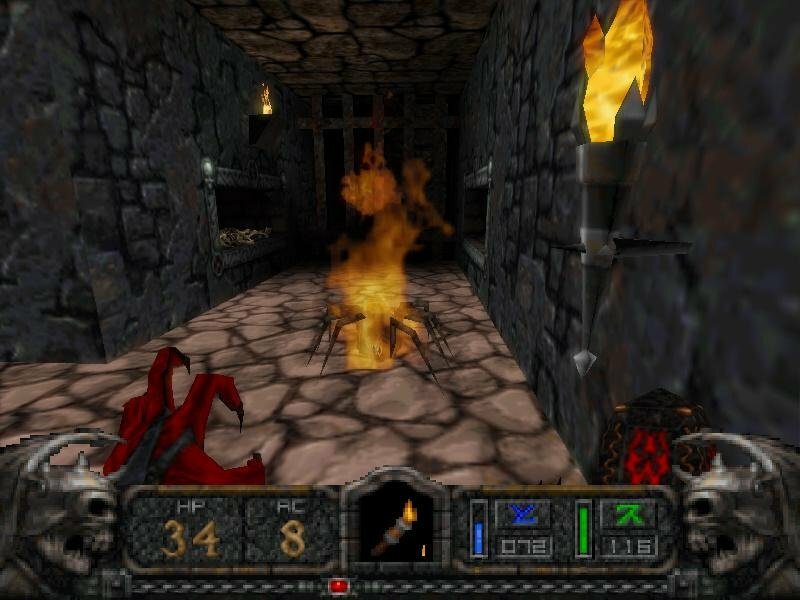 She instead has a cool fire spell that shows off the game’s new flame effects, and you’ll also spot a host of visual updates (such as falling snow) that makes the game look somewhat prettier. 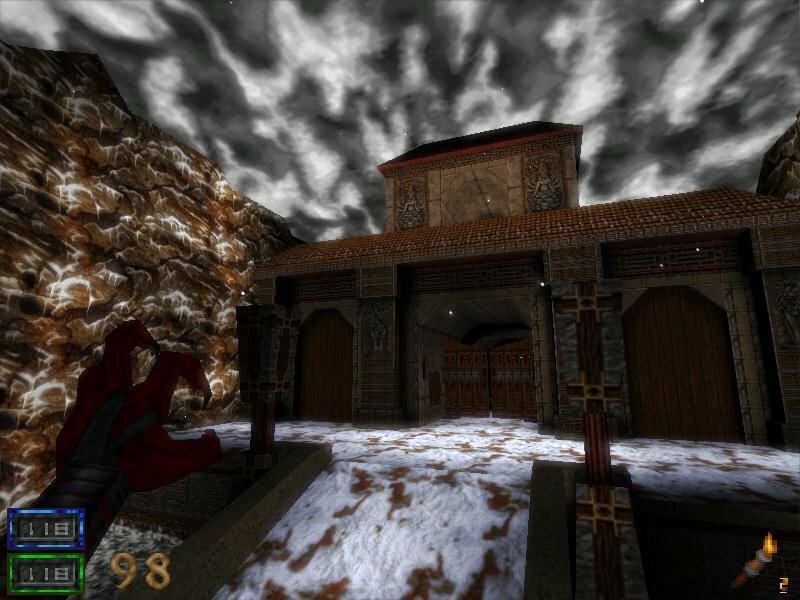 A lot of detail has been put into the snow-laden villages, underground catacombs and snowy plains of Tulku, all of which feature destructible objects and secret areas. 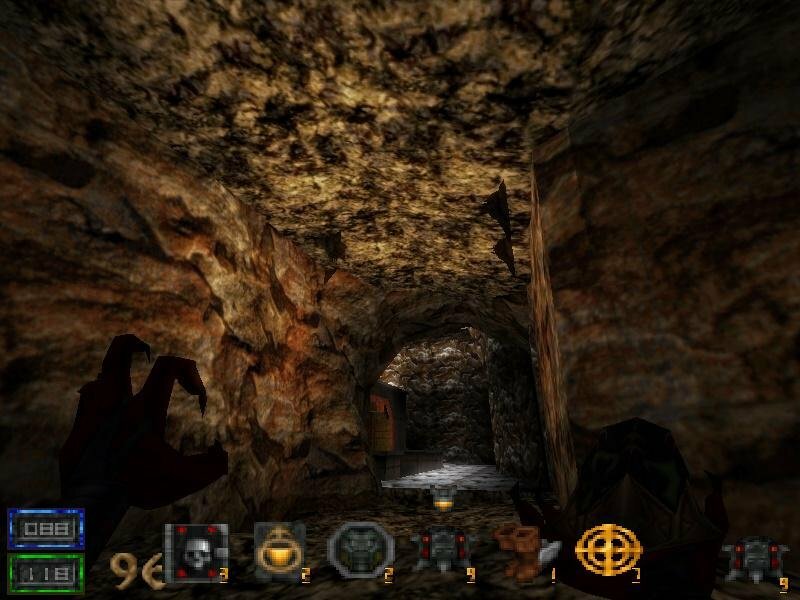 Although better looking, these levels are not without their flaws, including a game-killing bug in the Halls of the Dead level where one could never climb out of a pool of water and unto a platform leading to the exit (a clipping cheat will let you advance). 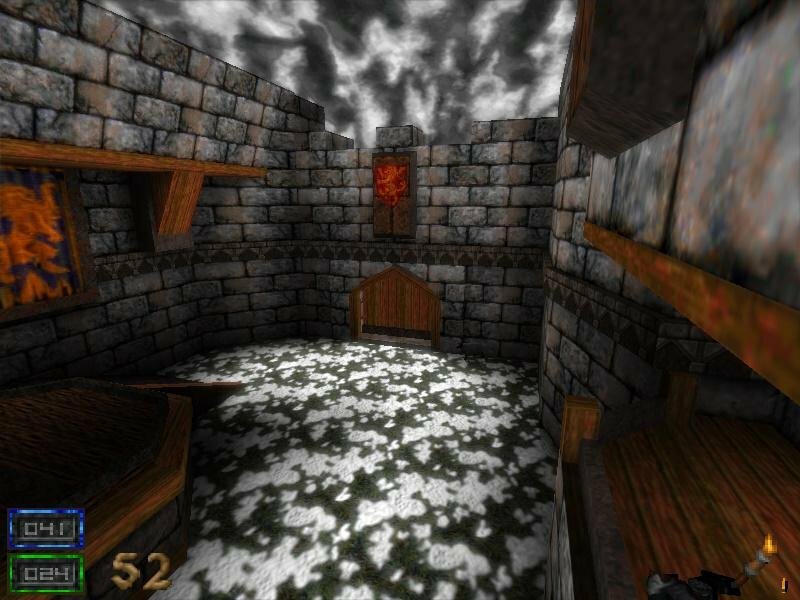 That and a few other minor mistakes, like invisible walls and clipping walls, highlight the thorough lack of play-testing. Check out the transparent fire effects! 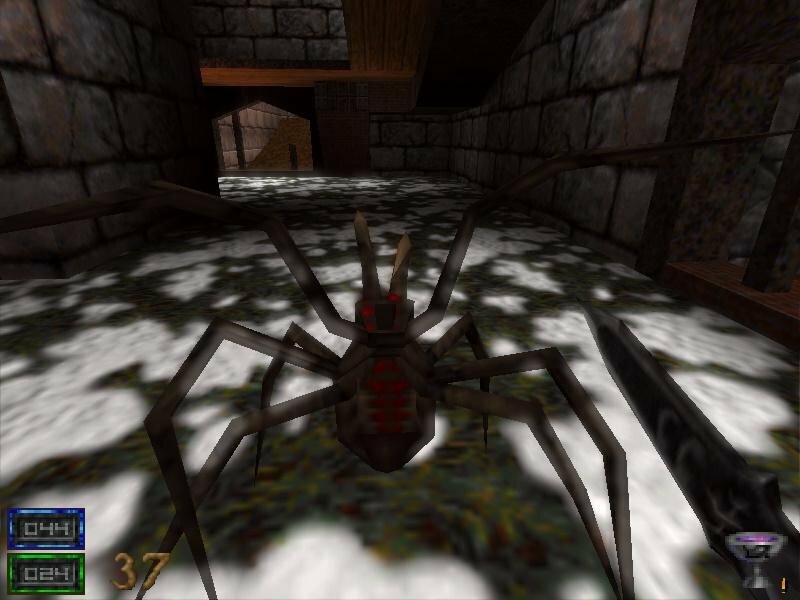 Several familiar enemies make a comeback, coupled with a few new ones as well. 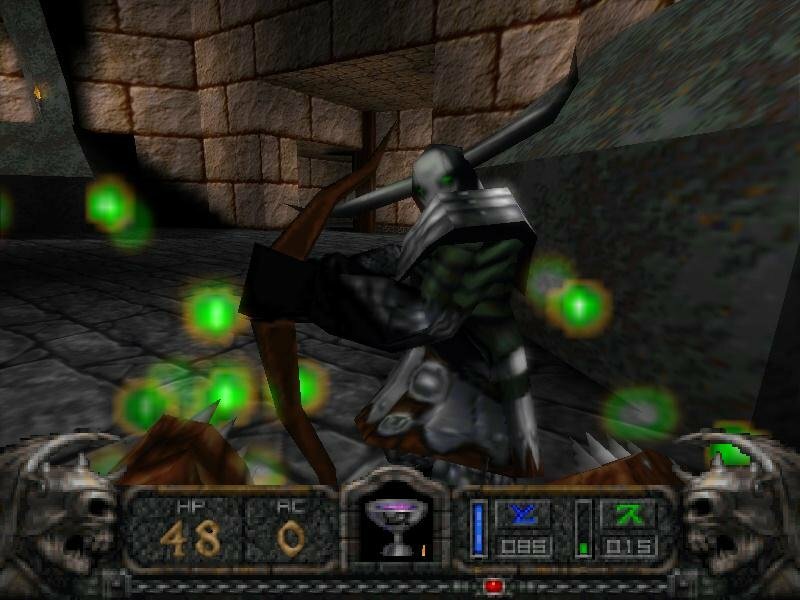 The Pentacle might be the most awkward one, a gelatinous blob that jumps from wall to wall before it lunges at you, zealously self-detonating when it is within proximity. 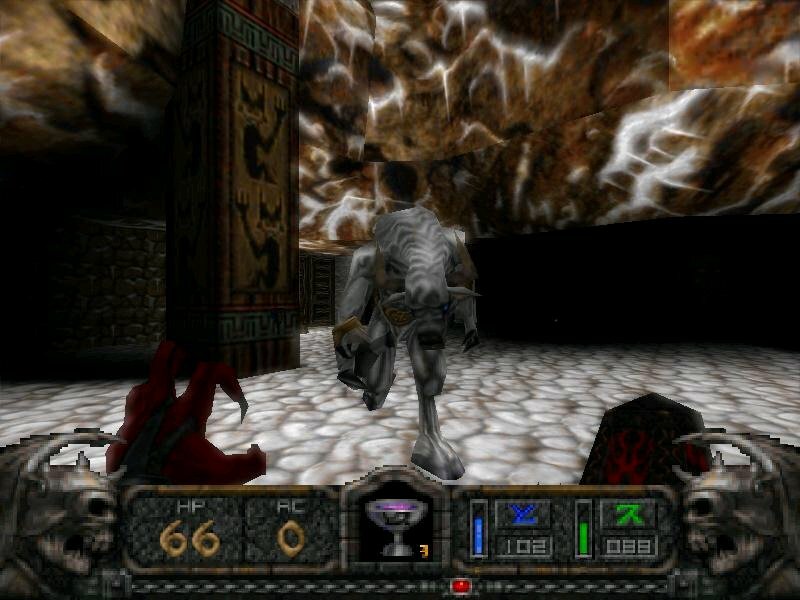 Larger and more vicious beasts show up later in the game, including what look like werewolves. If it weren’t for several annoying level-design bugs and meager length in playtime this pack could have been quite a treat. The amount of new content and architectural detail is impressive. Overall it’s a good pack brought down by a somewhat rushed design process. 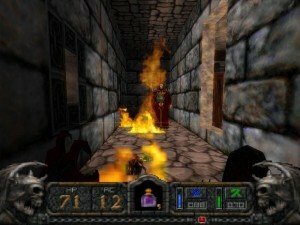 hello dear , please i want to ask you about hexen 2 portal of praevus , i tried here to download it from your website links and every time i download it it install Hexen 2 and it did not install hexen 2 portal of praevus , i had before Hexen 2 and i have finished it but now i want to play hexen 2 portal of praevus , so when i try to install it it install that hexen ( Hexen 2 that i have finished ) , please let me know how can i download the right hexen 2 portal of praevus to play it ?! Both games are included. 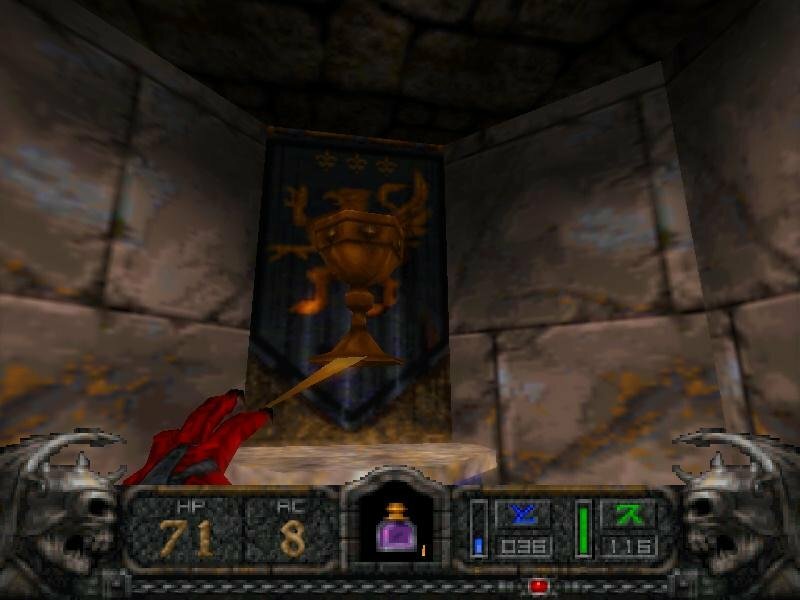 Go into the folder where the game was installed and you will find the shortcut to Praevus and original Hexen 2. I think you can also find shortcuts if you go into the Start Menu in Windows. 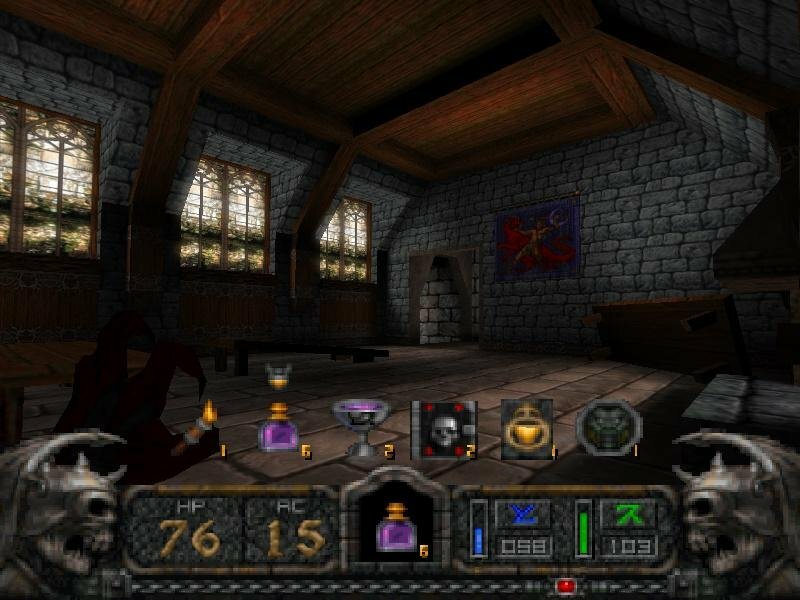 It is included because i used this version for the screenshots and gameplay video.